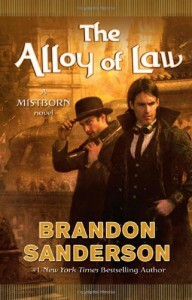 Anddd... Brandon Sanderson has done it again. Pure awesomeness. I haven't really seen much historical fiction fantasy (oh wait, that's probably the definition of steampunk), so this was cool.